This list is not sponsored. These are places we have stayed at and have been very happy that we have. Its likely that everyone staying at these places will also be very pleased with their choice, but I cannot, of course, except any responsibility if this isn't entirely the case. I've listed the year we stayed; for those a few years back you may wish to check its still the same people. Attractive relaxed town on the lake. Good transport by boat, cable car, bus. Railway to mountain top from nearby Vitznau. Lucerne is a lovely, interesting city. Hotel Central am See, Seestrasse 25 6353, Weggis, Switzerland. Scenic coastal countryside, pleasant walks, attractive small towns. Very convenient for Exmoor. Very friendly and excellent, thoughtful service. Very comfortable and spacious rooms, with a lovely view across the valley. A short, pleasant walk into town. A very attractive and interesting city. Some wonderful buildings to visit and, of course, the river and bridges create a lovely setting. 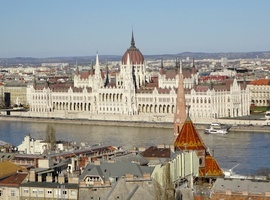 Very well located for city sight-seeing while also being pleasantly quiet, a short stroll to the Parliament building and river. 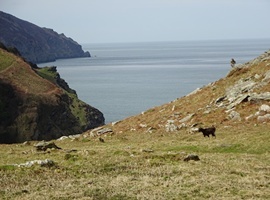 Lovely countryside for walking and Barmouth is a really pleasant and interesting seaside resort. The surfaced footpath along the old railway line (Dolgellau - Barmouth) alongside the Barmouth estuary is very attractive and practical for walkers, pushchairs, wheelchairs, cycles etc. Tyn Gaer, Brithdir DOLGELLAU Gwynedd LL40 2SE. 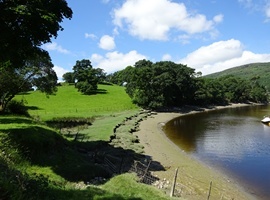 A cosy house, in a lovely, peaceful setting a short drive from Dolgellau. Lovely lake setting. 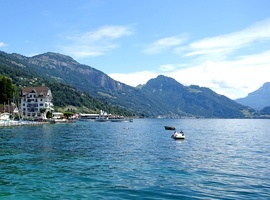 Talloires is small and well maintained; very pleasant lake side. 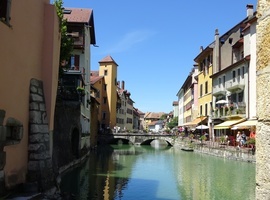 Annecy Old Town is very attractive and interesting. Public road transport for Talloires is quite limited as is parking. Using the boat is very scenic, visiting all stops round the lake. A really interesting and attractive place to stay. Originally a 17th century Benedictine Abbey. All very well fitted, while retaining the historic appearance. I recommend asking for one of the larger rooms, which are a comfortable size for two. The interior is really quite special and worth having a look round even if you are not staying there. The service was impeccable. We also stayed one night in the Hotel Le Cottage Bise, next to L'Abbaye. This was very good - a nice spacious room and very good meals and service. A really attractive lake-side resort in a beautiful mountainous setting. Good for walking and touring the lovely countryside. There's boat transport to/from nearby places on the lake and a train to the mountain summit. A pleasantly peaceful place with some entertaining activities eg. 'traditional' dancing, and when we were there some aerial activities over the lake. A pleasant hotel in a quiet location on the edge of St Wolgang, with car parking, about a 10-15 min walk to the town centre. Good service and meals, comfortable rooms. We booked with Thomson Lakes and Mountains. The rep gave an interesting tour of the town. A very interesting and attractive city. A large number of places to visit. Many very elaborately decorated churches etc. - a very high cherub count. 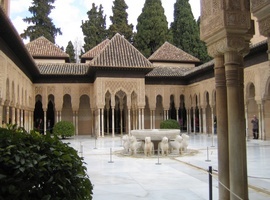 The Alhambra area is not to be missed, of course, and is very popular. Very well located for city sight-seeing, while in a pleasantly quiet setting near to a square with a number of restaurants. Comfortable rooms and pleasant service. ©Copyright 2008 to 2018 all rights reserved. The images in this page may be used providing the source is clearly attributed to 'kelvin warne services www.kwservices.co.uk'. If you want to use any other images or material from this site, please email your request to kelvin@kwservices.co.uk.